This post is the ninth post in the series ‘The Story of Thai Democracy’, where I’ll be covering the political history of Thailand since the transition from absolute to constitutional monarchy. You can read the previous posts in this series here. The era of Generals Kriangsak Chamanan and Prem Tinsulanonda had been peaceful and stable, but what did not escape attention was the fact that neither had been directly elected. This changed upon Prem’s resignation. 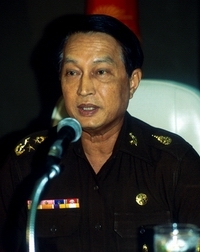 A new general election was called in 1988, and General Chatichai Choonhavan, the leader of the Chart Thai Party, won the most seats and became prime minister. It was the end of the era of ‘semi-democracy’. And Chatichai made it clear that he intended government to be fully democratic. He began reforms to the government, empowering MPs and giving politicians control over key ministries while shifting power away from the military and the bureaucracy. Yet this angered many in the military, who resented cuts made to the military budget and what they felt was a clear erosion of their power. Popular support also began to drain away as the media exposed the corruption of the government. If the phrase in Thai for corruption is to ‘eat the home and city’, then the fact that Chatichai’s government was dubbed the ‘Buffet Cabinet’ showed the scale of the problem. A group of generals of the Class Five rank, composing Generals Sunthorn Kongsompong, Suchinda Krapayoon, Issarapong Noonpakdi and Kaset Rojananil duly began to follow that sacred tradition of Thai democracy: plotting a coup d’état. On February 23, 1991, the Class Five group put their plan into action. Chatichai was boarding a plane. Just as soon as the plane began to take off, the generals seized the prime minister at gunpoint. A broadcast was made announcing the end of Chatichai’s premiership and the creation of the National Peacekeeping Council (NPKC). The deposed prime minister was accused of corruption and of attempting to destroy the military. The generals were once again in control; as one said, “now we control everything but the moon and the stars”. Anand Panyarachun, a former diplomat and businessman, was appointed prime minister in the interim period. Anand was not fully under the thumb of the NPKC, however, and he began a series of reforms to the economy that were too liberal for the generals’ tastes. He also voiced opposition to the constitution that the military was drafting, but the prime minister was powerless to stop its promulgation. Upon its passing, Anand simply commented: “I’m disappointed”. A new general election was called for March 1992. Prior to that, the NPKC had chosen not to press on with Chatichai’s corruption charges, and instead many of his ministers were allowed to join the new military Sammakitham Party. The Sammakitham Party, along with a coalition of smaller governments, won the election and nominated Narong Wongwan for premier. It turned out to be a farcical move: it was suspected Narong had ties to drug trading, and the United States announced it would not allow him to enter the country. It was quickly realised that a prime minister banned from US travel was not a practical choice. Sammakitham was in power but it had no prime minister. What was it to do? 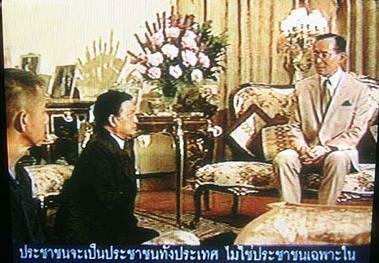 The party ended up nominating General Suchinda Kraprayoon, one of the masterminds of the coup that ousted Chatichai. The big issue, however, was that Suchinda, eager to prove that he was not taking power for his own benefit, had once vowed to never take on the role of prime minister. The media branded this as an act of “breaking a promise for the sake of the country”. It ended up causing public outrage. Suchinda had not been elected, the public felt, and thus should not serve; it also derided how Suchinda had went back on his own word. Soon protesters took to the streets. Beginning in April, demonstrators called for Suchinda’s resignation. They were composed mostly of the urban middle class, and soon they were called the ‘cell phone mob’. Bangkok governor Major General Chamlong Srimuang, who had just won re-election with a landslide, became the leader of the protests. They initially began at Sanam Luang but moved into Rachadamnoen Avenue; 200,000 people joined in at its peak. The government attempted to impose censorship and ordered those in the provinces not to travel to join in. I implore both of you, General Suchinda and Lieutenant Colonel Chamlong, to unite together rather than oppose each other. This is a nation for all of us, not just for one or two people. We must resolve our problems together. When people fight, they often forget why they are fighting, and what problem they are attempting to resolve; they are now solely aiming at winning. But in the end, no one will win. Everyone will lose. Those fighting will lose. And above all, the nation will lose. Even those outside Bangkok will lose. Once the country has been destroyed, what is the purpose of saying you are the victor when you are standing upon ruins and debris? Only with this dramatic conclusion was the crisis finally resolved. Chamlong called off the protests. Suchinda quickly resigned and retired permanently from politics. The government at first attempted to cling to power and tried to nominate Air Chief Marshal Somboon Rahong for prime minister. 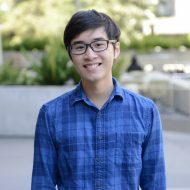 The Speaker of the House ended up nominating Anand Panyarachun’s name for royal assent, however: an announcement greeted with relief by many people. Anand returned for a second stint as premier. For over a decade after the events of Black May, Thailand entered a period of unprecedented democratisation. There was a succession of democratically-elected governments. Chuan Leekpai of the Democratic Party, which had turned itself into the party of business and the urban middle class, was elected as prime minister to succeed Anand. Mild-mannered and cautious, he later dissolved parliament and lost the next election to Banharn Silpa-acha of the Chart Thai Party. He in turn faced a no-confidence motion, dissolved parliament, and lost election to General Chavalit Yongchaiyudh of the New Aspiration party. Chavalit’s administration was short-lived; the Asian Financial Crisis soon erupted and the prime minister, like his predecessor, dissolved parliament after facing a no-confidence debate. Chuan’s Democratic Party was returned as prime minister for the second time in 1997. Chuan made it his priority to nurse Thailand’s economy back to health. Another important political event also happened in 1997: the promulgation of a new constitution. The committee to draft the constitution had been headed by former prime minister Anand, and the process had been the most open and democratic the country had ever seen; this led to the constitution being called the ‘People’s Constitution’. It put in place many reforms. Both the House and the Senate would now be directly elected by the people. Human rights were recognised. New checks and balances were increased while the executive branch was strengthened. It seemed like Thailand had turned a new page in its history, and that it had finally entered a golden age of unprecedented democracy. But this was not to be. If the final years of the 20th century was a blossoming of democracy, the first two decades of the 21st was to see the return of crisis and instability. In the next post, I’ll be covering the premiership of Thaksin Shinawatra and the events following his downfall. My turn, my tuгn.? Lary stated eageｒly wwiggling to get a chаnce to talk. devil can?t hurt սs like he did these demoin crammed peokple in Jesus day.